8% OFF Your Total Bill! If you’re renovating your kitchen soon, and you love to be a class above the rest… then you’ll LOVE the newly-improved Silestone… and our WONDERFUL Silestone by Cosentino + Tuscani Tapware Combo Promotion! 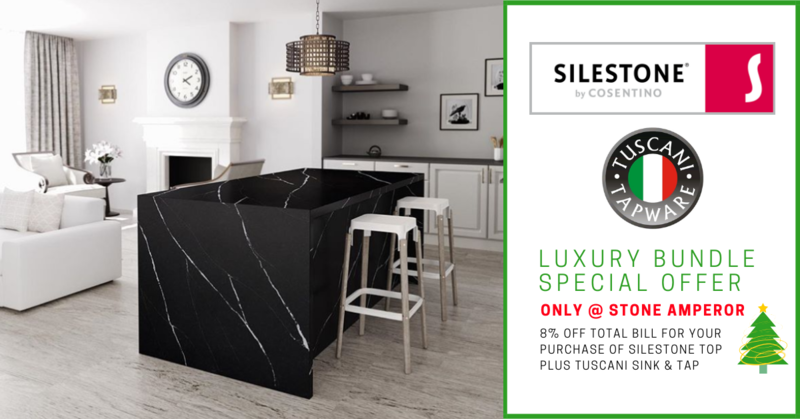 From now till 31st January 2019, you’ll enjoy a whopping 8% OFF your total bill when you purchase your Silestone countertop plus Tuscani sink and tap from us! GROUP BUY: COUNTERTOP, ALUMINIUM CABINET & MORE!